Five people have been arrested in Shanghai, China for making and selling “high-end” fakes of the Apple iPhone, according to the Chinese newspaper Shanghai Daily, as reported by Reuters. The accused were found with over 200 replicas of the iPhone in their possession during the police crackdown, all of which were made using several genuine components and were very hard to distinguish from the originals. The components were being sourced from the Guangdong province and the devices assembled in Shanghai. 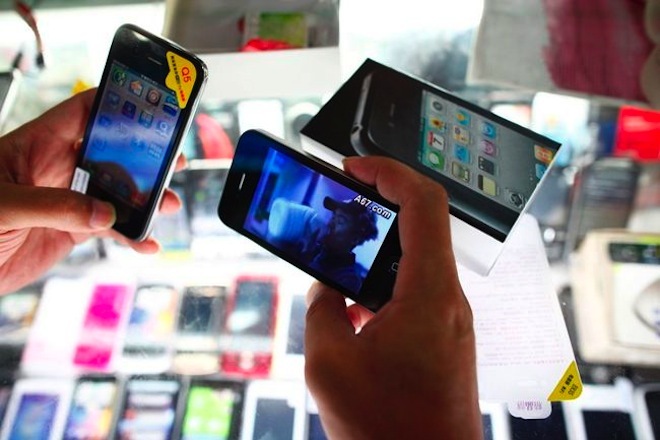 The counterfeit phones were being produced at a cost of about 2,000 yuan ($313) per unit and sold off in the grey market for around 4,000 yuan, which is only slightly cheaper than the actual cost of the iPhone in China. The only difference to the untrained eye, the police said, was that the counterfeit phones had shorter battery life than the original. Apple has been the target of counterfeiting in China for a long time and a set of Wikileaks cables leaked last month detailed the company’s (rather unsuccessful) efforts to prevent the piracy of its products in the country. We have also seen knockoff Apple Stores crop up in China in the past, some of which were later shut down by Chinese authorities due to improper licensing.